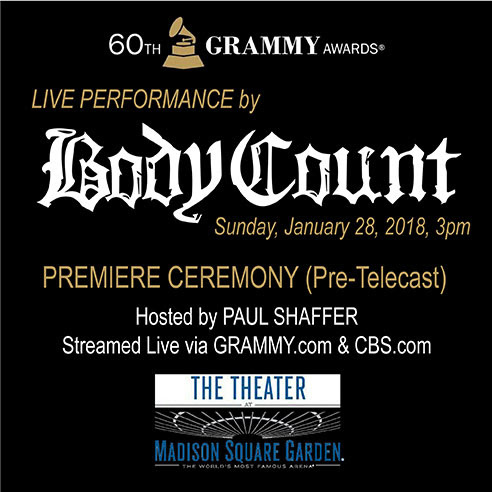 BODY COUNT ANNOUNCED TO PERFORM AT GRAMMY AWARDS PREMIERE CEREMONY WITH ICE T ON JIMMY FALLON SHOW! Additionally, vocalist ICE T is scheduled to appear as a featured guest on the Wednesday, January 24, 2018 episode of NBC's "The Tonight Show Starring Jimmy Fallon" alongside singer/songwriter Meghan Trainor and musical guest The Avett Brothers. The episode will air live on NBC tonight at 11:35 p.m. ET / 10:35 p.m. CT and will be made available online at http://www.tonightshow.com. BODY COUNT are up for their first-ever Grammy nomination for "Best Metal Performance" with their controversial yet inspirational hit single, "Black Hoodie", which Rolling Stone depicted as a modern-day version of their infamous 1992 single, "Cop Killer", while listing their new album "Bloodlust" as one of the Top 20 Best Metal Albums of 2017. 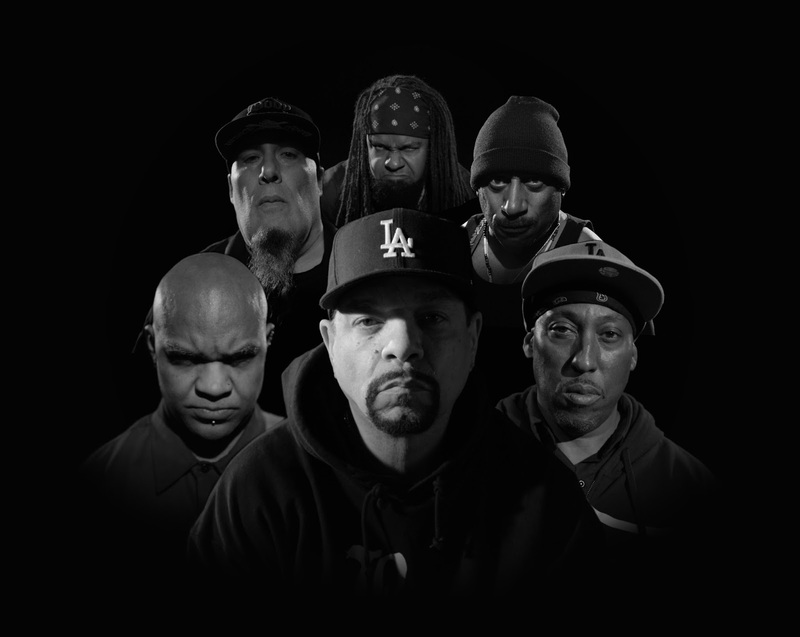 Fans can win a signed LP & more merch by entering the contest found here: http://www.redmusic.com/cm30/.